The first thing a visitor should see when they land on your website is your company name, your logo and a clear value proposition. Your value proposition is a concise chunk of text (headline, sub-headline and maybe a few bullets points) with a visual (photo, hero shot, graphics). It should be on your home page, because that's most likely to be the first page that your website visitors will see when they land on your website. It should be "above the fold". That is the part of the home page that is that is immediately visible in a browser and that visitors see without scrolling. 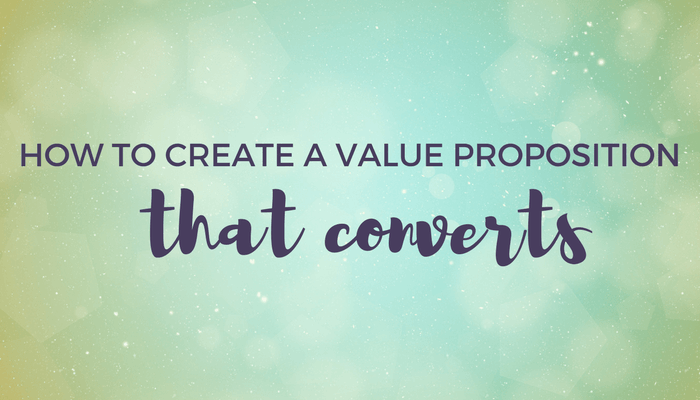 Your value proposition is the most important part of your home page. It might seem like a no-brainer, but you would be shocked at how many websites out there don't have one. You gotta tell your visitors what you do and who you do it for (who you help and how) effectively and quickly. People’s attention span and patience are extremely limited. If people don’t have an understanding of what your company does and who it does it for within seconds, they are not likely to stick around to find out. Nobody is going to try to decipher what you’re about or read long pages of text. How to create a winning value proposition? The best value propositions are easy to understand. Clear, compelling and succinct, so that your visitors know that they are in the right place. The shorter you can make your value propostion and still explain what you do, the better. Shorter headings are faster to read - it’s that simple. A great value proposition is about the problems your business solves and the results a customer will get from using your products and/or services. Visitors don’t care about you, or your business. They only care about the problem they are trying to solve. When choosing your value proposition think about the results your customers are looking for when doing business with you. Let's look at FreshBooks as an example of an excellent value proposition. They tell you exactly what they do and who it is for as well as addressing the problems their accounting software solves for their customers.